SUN ‘n FUN and the Florida Air Museum support year round educational programs. These programs happen at the Aerospace Center for Excellence or ACE Educational Facilities. Fourteen (14) buildings and a Boeing 727 Classroom form the Aerospace Center for Excellence (ACE Educational Facilities). This model is the most unique learning platform in the United States where each building serves a common function of educating and inspiring the next generation of aerospace professionals while honoring the past. SUN ‘n FUN and the Aerospace Center for Excellence are leading the way. Come see what ACE Educational Facilities is all about! We were recently featured in an article, Lifting Wings and Dreams in Lakeland, FL. If you’re interested in Florida Real Estate, check out what they have to offer for Lakeland, FL Homes for Sale. The Aerospace Center for Excellence provides many opportunities for students to become better acquainted with the world of aerospace. We are proud to offer a variety of clubs that in coordination with our staff and volunteers help students develop a better understanding of classroom principles in a real life environment. SUN ‘n FUN and the Florida Air Museum support year round educational programs. These programs happen at the Aerospace Center for Excellence or A.C.E. Fourteen (14) buildings and a Boeing 727 Classroom form the Aerospace Center for Excellence (ACE). This model is the most unique learning platform in the United States where each building serves a common function of educating and inspiring the next generation of aerospace professionals while honoring the past. SUN ‘n FUN and the Aerospace Center for Excellence are leading the way. Come see what ACE is all about! 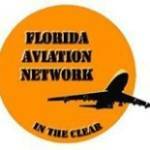 SUN ‘n FUN and the Florida Air Museum are both 501 (c) 3 corporations. In accordance with our mission statement we believe in developing the next generation of aerospace professionals. This cannot happen without education. SUN ‘n FUN and the Florida Air Museum annually give over $400,000 in scholarships through the Aerospace Center for Excellence. These efforts have not gone unnoticed as we are proud to announce that as of March 2015 over 100 scholarships have been awarded to young men and women. Many of these have pursued their dream of becoming a pilot. With financial assistance given by the Aerospace Center for Excellence over 50 of these students have soloed an aircraft resulting in over 40 private pilots with over 85 scholarships in progress. Many of these students have gone on to further their education at the university level and are now beginning their careers as young professionals. Nobody else in the United States can claim the success stories that we share in at the Aerospace Center for Excellence. We are proud of these young men’s and women’s accomplishments. The Aerospace Center for Excellence hosts a variety of year round educational programs. From tours of Aerospace Discovery at Florida Air Museum, to summer camps, to Aerospace Discovery weekend there is always an opportunity to educate and advance your aerospace knowledge and have fun while learning! Now you have the knowledge to succeed what do you do now? SUN ‘n FUN and The Aerospace Center for Excellence are proud to partner with JSFirm.com showcase the opportunities that exist in the aerospace field. Do you have the next great idea that will revolutionize the aerospace industry? Develop your product at our Aerospace Enterprise Center where you can receive career advice form industry experts, host meetings, or have your own personal workspace. Transition to the Sky is a new program offered at the Aerospace Center for Excellence that is designed to prepare people with special needs and their families for future air travel. Learn what it is like to experience every step and participate in routine passenger tasks.